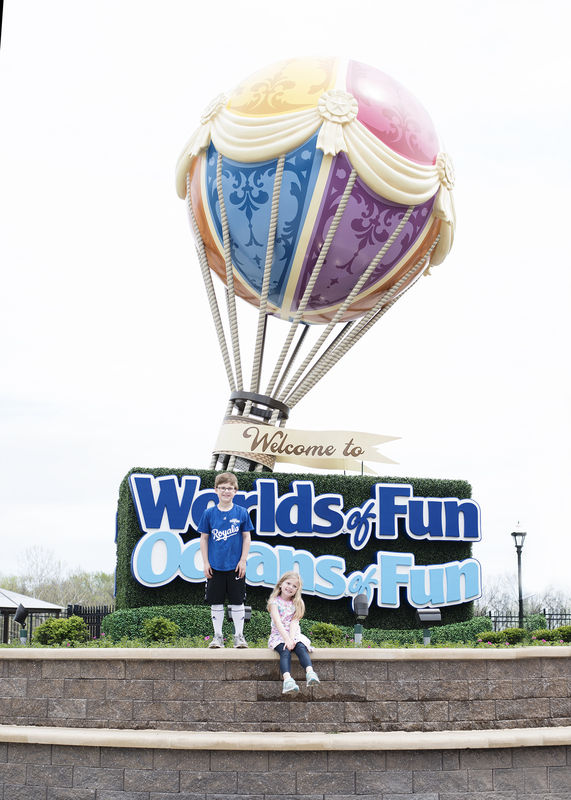 Worlds of Fun in Kansas City is full of opportunities for family fun! With two new attractions, Mustang Runner and Falcon Flight, there are so many things to experience this year in 2017. 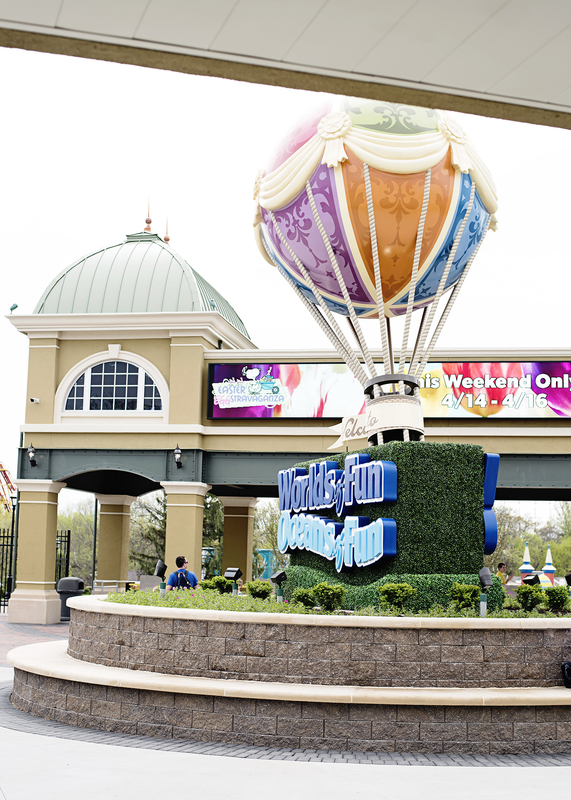 Worlds of Fun not only has two new attractions, their front entrance has gone through a complete remodel! With beautiful brick design, wide open space and the iconic balloon display, the park has really opened up with a warm sense of welcome. 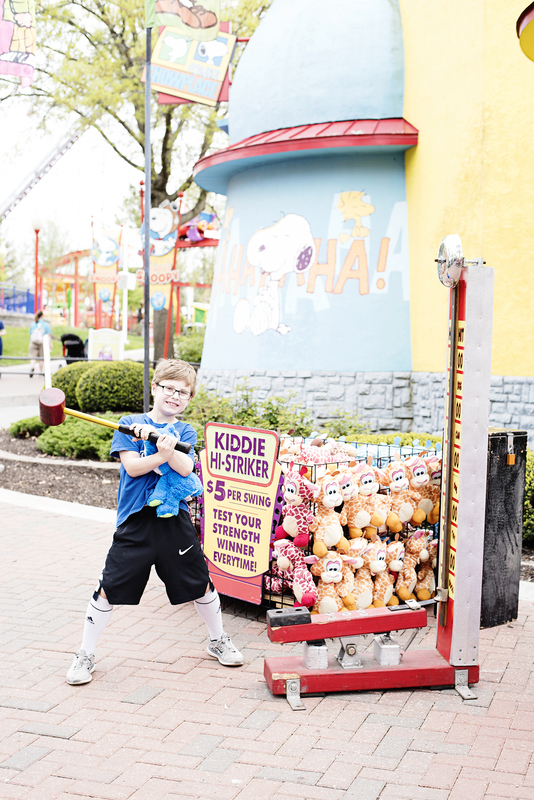 My family made a visit out to Worlds of Fun this past Sunday, on Easter! 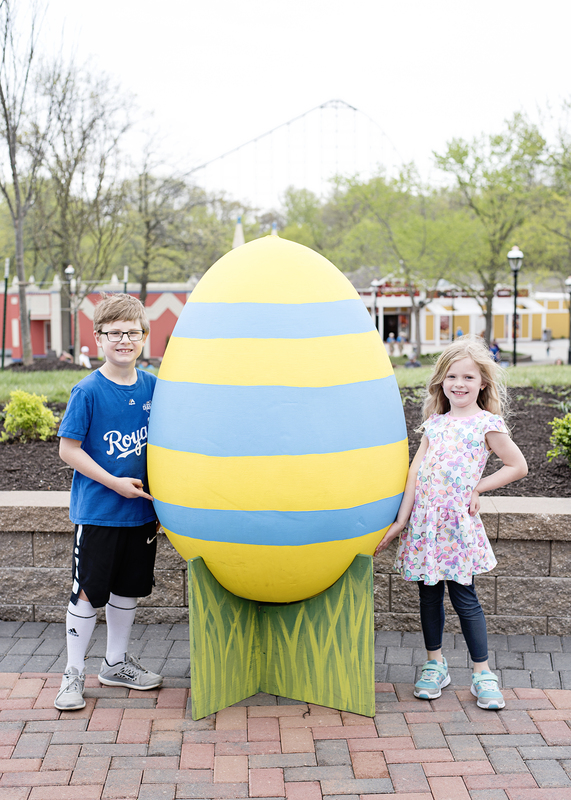 It was a lot of fun to see the park decorated with beautiful eggs, an Easter bunny for picture taking and a themed Planet Snoopy! My youngest was excited to participate in the Easter Eggsploration Easter egg hunt! 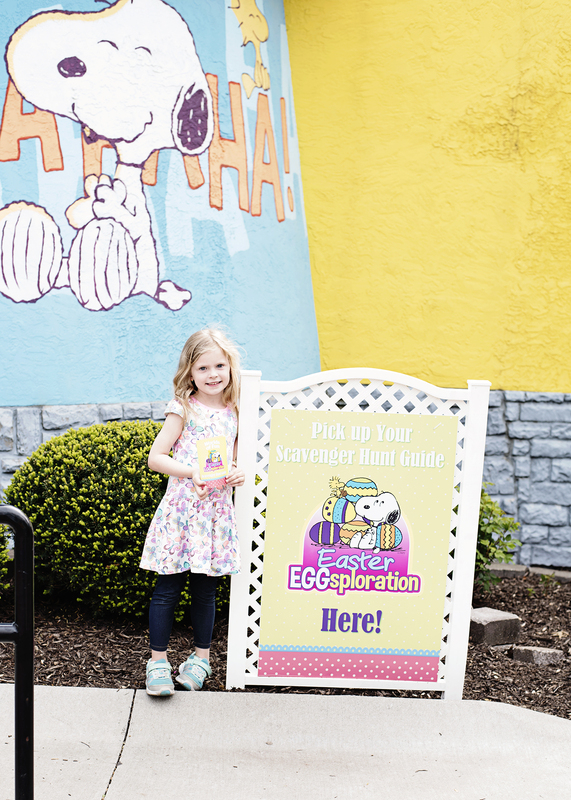 We were taken around Planet Snoopy to find answers for our eggsploration guide. 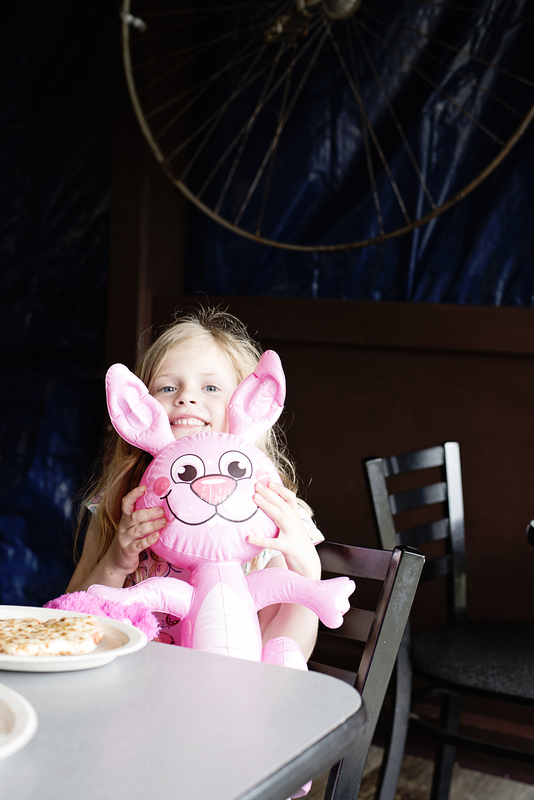 For completing the hunt, Andrea was gifted a blow up bunny for a prize! Each of the kids had an opportunity to play the Kiddie Hi-Striker game. It was time to test their strength! Thankfully, for the sake of crying children, there was a prize for every child who played. The two new attractions, Mustang Runner and Falcon Flight, were not in operation during opening weekend. We were hoping to tell you all about it! My family plans to attend again soon, once the rides are in operation, to give you a full report of the fun. 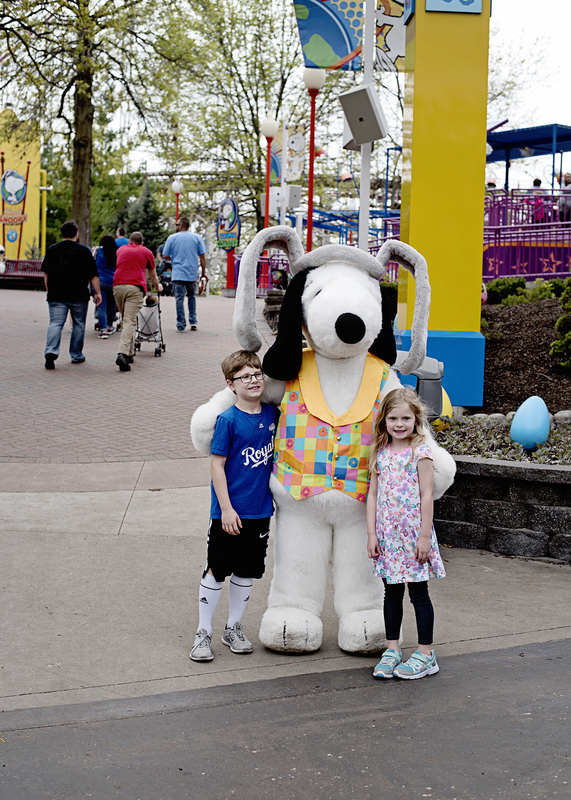 We did enjoy many of the rides in Planet Snoopy, many that my kids were finally tall enough for. My “big” kid (husband) even enjoyed rides like the Prowler, Boomerang and Patriot. So many family memories were made and we can’t wait for the other events during the 2017 Worlds of Fun season. I put together a video full of the fun things that happened during our visit to Worlds of Fun. I hope you enjoy it as much as we did making it! 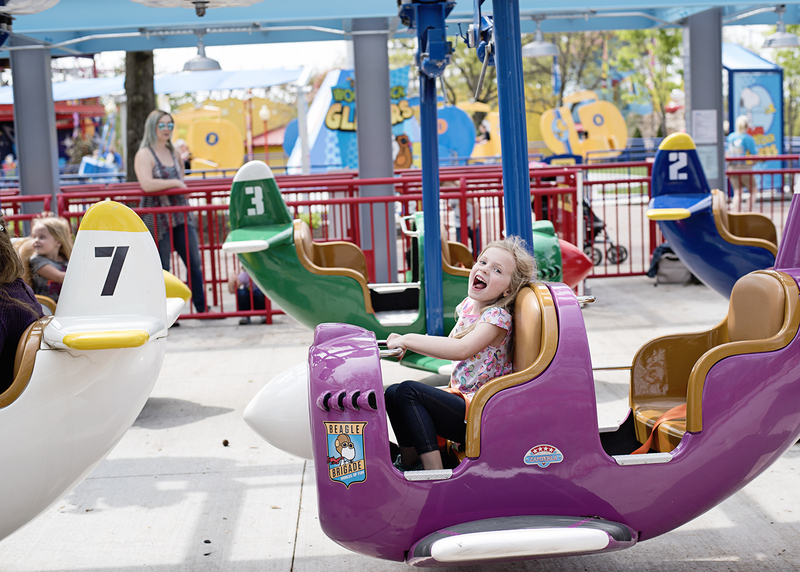 If you are heading out to the park, check out a full list of upcoming events covering everything from coasters to events at https://www.worldsoffun.com/play/events. Be holiday ready with Elena: Gift ideas fit for a princess – Prize Pack Giveaway!